Providing pure, safe water to an entire community is an enormous responsibility, to say the least. Given all the possible impurities that can exist in the water supply—from unwanted mineral content to harmful chemicals and bacteria—local governments face a difficult task in making sure the water delivered to their residents is safe for drinking, cooking and bathing. At Metro Water Filter, we are well aware of the many potential hazards found in the water supply, and we are able to assist in designing and installing filtration solutions tailor-made to the needs of the local community. 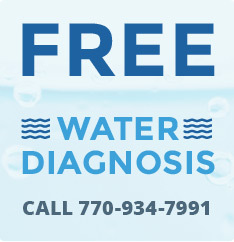 At Metro Water Filter, we are passionate about providing safe, clean water to communities throughout the northern Georgia region and beyond. That’s why we work with local governments to help create filtrations solutions to provide pure water to the local community. Click here to email us today! Metro Water Filter has been in the water filtration business for over forty years. With all our years of experience filtering water, we know what works. We don’t dabble in water filtration – it’s our sole occupation. All of our time, energy, and resources go into this business. When we go to work for you, you can be sure that you are getting the best in water filtration.